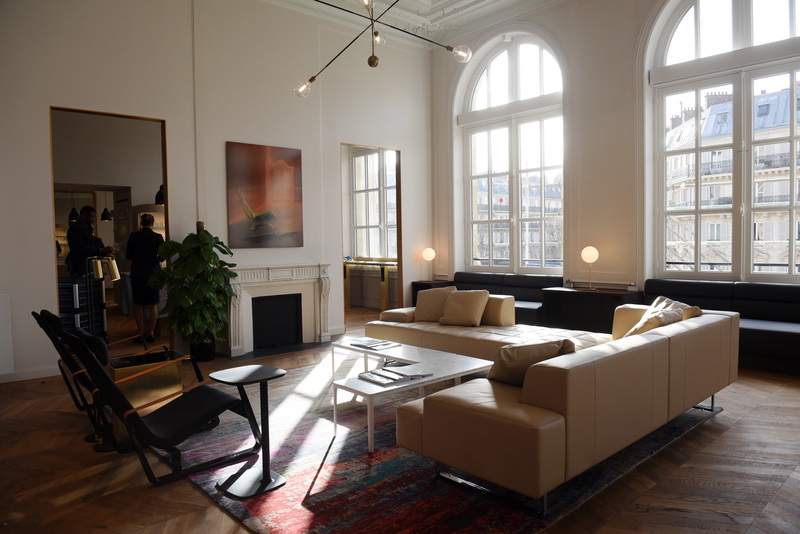 Eurostar, the high-speed rail service linking the UK and mainland Europe, will open the doors to its new Business Premier lounge in Paris Gare du Nord on Saturday, 4 February 2017. With business passengers increasingly choosing high speed rail over plane, valuing the seamless journey and ability to work pre-travel and onboard, the new lounge offers a stylish, comfortable environment for both working and relaxing. Designed by global architects, Softroom, the Paris lounge will transform the travel experience for Business Premier passengers. Recognising the importance of connectivity for travellers, the lounge is equipped with complimentary wifi, USB sockets and wireless chargers, making it the perfect place to catch up on work or meet with clients and colleagues. For customers looking to unwind at the end of the day, the new cocktail bar is the ultimate destination. Situated at the back of the lounge, the circular black and gold bar, provides an atmospheric space for travellers to sample a selection of cocktails designed by London Cocktail Club exclusively for Eurostar. 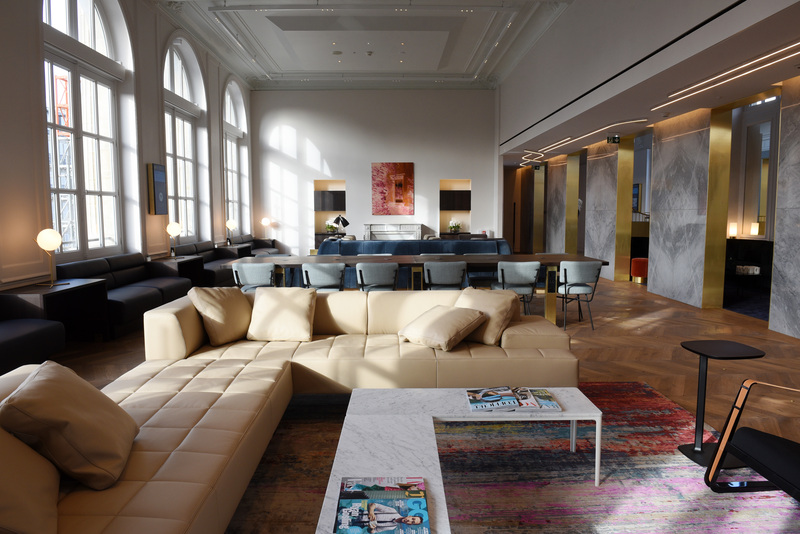 To enhance the overall experience, the lounge will also feature a range of contemporary art, curated by the Hospital Club in London, showcasing French artists. Travellers will be able to admire the artworks on display and for those keen to take a piece of Paris back to London, the art will be on sale. 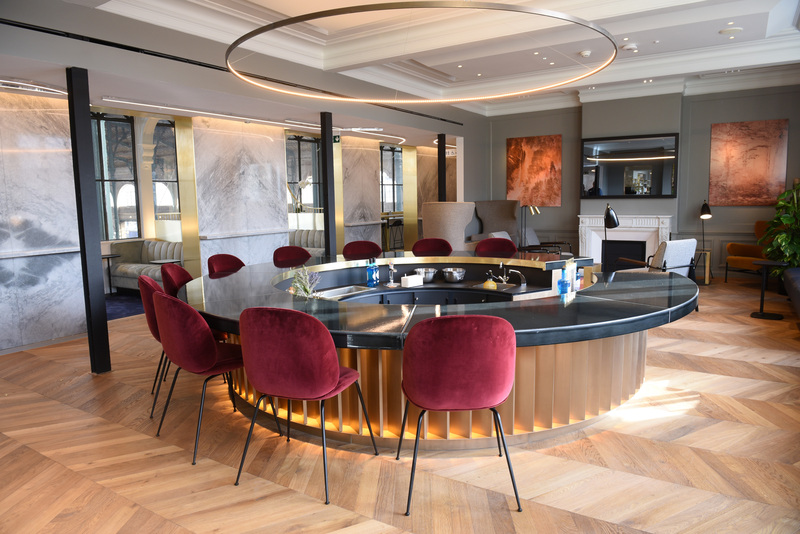 The new lounge embodies a home-from-home feel, with an open kitchen where guests can help themselves to fresh breakfast, lunch and dinner snacks. To complement the stylish interiors, the menu has been refreshed with a range of canapés, healthy salads, juices, and hot and cold seasonal dishes, which will be gradually introduced throughout the year. Michelin star chef and Eurostar Business Premier Culinary Director, Raymond Blanc OBE, has worked closely with the catering team to advise on seasonal dishes that combine the best of British and French cuisine. Raymond has even designed a bespoke tea exclusively for the lounge created by Tregothnan, Britain’s first and only tea producer. Softroom was founded in 1995 by directors Christopher Bagot and Oliver Salway. Over the past 22 years, Softroom have built an international reputation for excellence in architecture and interior design. Softroom is a RIBA Chartered practice, based in Waterloo, London, with clients all over the world across a range of sectors including the arts, transport and commercial and retail space.